North America land mass amid the Earth's oceans and clouds in image taken from Apollo 16 after launch on April 16, 1972. 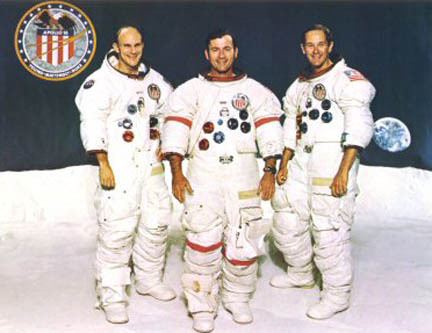 Commander was astronaut John W. Young with his crew, Thomas Mattingly and Charles Duke. Apollo 16 returned in ocean splashdown on April 27, 1972. 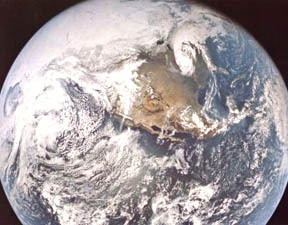 Earth image courtesy NASA.